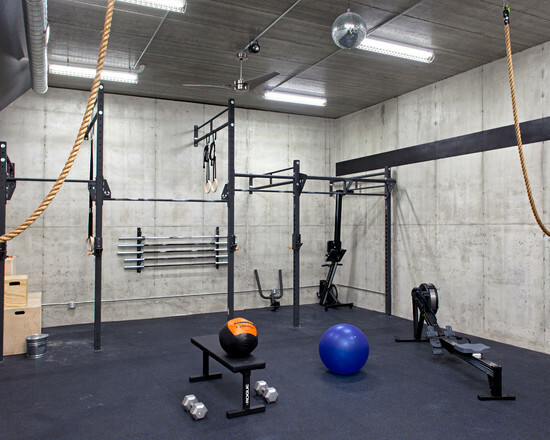 Basement Gym Idea. Industrial look, ceiling color and lights, floor. Some people swear that this look makes them work harder.